The United States Sports Academy protects the privacy of our website visitors. Privacy is as important to us as it is to you. This privacy statement describes the expectation of privacy found with our website. The Academy uses Google Analytics to collect anonymous traffic data to identify trends and web activity. This data is being used to recognize popular web pages to show segment success or low popularity. The information is used to help refocus web pages to meet the needs of our users. The United States Sports Academy gathers and processes personal information in accordance to applicable data protection regulations and laws. This notice provides you with necessary information regarding user rights and Academy obligations. The Academy will collect and process personal information entered on this site through web forms. All forms require the user’s consent to submit personal data.  Collected information will be used by the United States Sports Academy to provide services to our visitors and for marketing purposes. Personal information will never be shared or sold to third party entities. The Academy takes the security of your data very seriously. We take all reasonable safeguards to protect the confidentiality, integrity, and availability of your data. The use of firewalls, encryption, and passwords are only a few aspects that make up multiple layers of protection. The Academy will comply with any legal disclosure of data requested by an appropriate court authority and deemed discoverable by the Federal Rules of Civil Procedures. The United States Sports Academy adheres to the Family Educational Rights and Privacy Act (FERPA). FERPA prohibits the release of student information without the student’s expressed permission. More information about FERPA can found in the Student Handbook or online at https://www2.ed.gov/policy/gen/guid/fpco/ferpa/index.html . Questions or concerns about privacy can be directed to technology@ussa.edu.